As of today we can put all rumours to rest. It’s true: Henle Urtext has gone digital. The global launch of the “Henle Library” app (Henle Verlag iPad App), in German, English and Chinese, for Apple’s iPad, is 3 February 2016 (for Android tablets it’s May 2016). Our app will be a valuable tool for musicians when practising, rehearsing and performing. 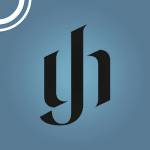 Right from the start it was clear to us at Henle Publishers that it wasn’t enough just to offer our Urtext editions in digital form for PDF readers. Firstly, musicians don’t need us for this: nowadays they scan or download anything and everything, uploading the music to PDF readers such as “ForScore” or “piaScore”. Secondly, a simple PDF cannot begin to untap the fascinating potential of digital options. And thirdly, we didn’t want a “play along” app that would just be used for combining the musical text with sound. Quite the opposite, we wanted to develop an app that offered musicians the best – without gimmicks –, so features that only a digital version could offer and that weren’t possible in the printed edition. And it also had to be a top-quality and great-looking app. After a more than two year development period, with lots of “ups and downs”, and a level of investment that was unprecedented in the history of the publishing house, we are proud to finally present the “Henle Library” app. Musicians can expect the best. So what does the “Henle Library” app have to offer? Well, first and foremost it provides the undistorted correct and attractive reference text contained in our Urtext editions. That’s no small thing, as many digital music editions are reset – and consequently include mistakes and don’t look good. But that’s not all: For many repertoire works we’ve added several further sets of new fingerings and bowings that can be added as layers to our Urtext. So when you buy the “Henle Library” app at launch, you’ll get the “bare bones” Urtext of Bach’s Solo Sonatas and Partitas and then you can also choose to see markings by Igor Ozim, Midori Seiler and Christian Tetzlaff; the Beethoven Piano Sonatas also have fingerings by Conrad Hansen, Murray Perahia and Eugen d’Albert; Brahms Violin Sonatas have fingerings and bowings by Leopold Auer, Igor Ozim, Ossip Schnirlin, and the piano part offers fingerings by Lars Vogt in addition to those of Hans-Martin Theopold. And much more. You have to see for yourself how elegantly you can switch between “layers”. It’s this feature in particular that we want to expand in the future, step-by-step – there are so many great artists of the past who published fingerings in editions that are no longer in print and that sadly are hidden away in libraries. But many of today’s artists and teachers are also going to provide markings exclusively for our app. What an incredible treasure trove for teachers and students alike! It goes without saying that you can view the digital Henle scores in vertical or horizontal high resolution formats; you can change the background colour; you can turn “pages” faster than you can with real paper; you can use any standard Bluetooth foot pedal to turn pages; you can have each movement start on a new page; you can opt for your own alignment of the staves and pages or the “original” one (that’s in the print edition); you can, of course, print everything out or send it as an e-mail attachment. We’re particularly proud of the following features, which were the result of discussions with musicians. These include a two-finger tap on repeat signs that enable you to jump back to the beginning of the repeat (in the blink of an eye). “A” sections (for instance in scherzos or minuets) are always written out again after the “B” section (so you don’t have to turn back pages). With chamber music if you buy the corresponding score as well as the solo part, you can switch between a passage in the part and the same passage in the score and back again at the tap of your finger. All (!) of the reproductions, illustrations and accompanying written texts in the printed Henle editions are included in the edition in the app, as a matter of course. But with the incredible added convenience of being able to see all of the passages in the musical text for which there is additional information (either in footnotes or in the readings in the critical report in the printed version) at the tap of a button; tap on a highlighted passage and as if by magic, the corresponding text “pops-up” right next to the musical text (and by the way, this includes direct links to explanations of abbreviations and information about the sources, etc.). And of course we also have something for those of you who want to use the app when playing: First of all, there’s a professional metronome. Secondly, you can record and listen to yourself. But that’s not all, you can listen to yourself playing the original tempo but you can also speed up or slow down the recording – the original pitch is preserved – and if you want, in a continuous loop. Just imagine all of the possibilities there are for teaching or self-study! As a traditional music publisher we obviously could not develop this kind of multi-functional software for musicians on our own. Following some preliminary negative experiences, we then chose an app developer who was perfectly suited to us, as far as we were concerned: Touchpress, a London-based company. Many readers are probably familiar with some of their other apps, which are innovative, beautiful and content-rich. Along with us, Touchpress has surpassed itself and achieved something truly great. We will continue to develop the “Henle Library” app together for the benefit of you, our customers. 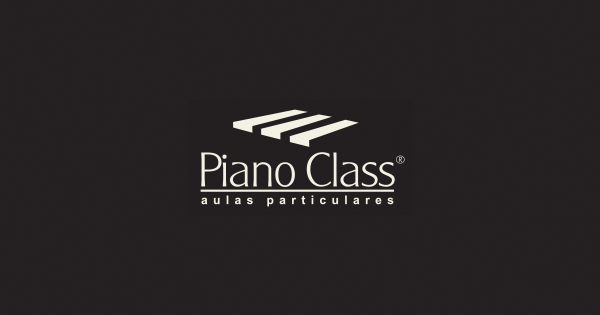 Incidentally, Touchpress and Henle guarantee that all of the musical scores that you purchase via the app will always be available to you wherever you are, thanks to “cloud technology” and they will never be lost. Users can, of course, change between different operating systems (iOS and Android) and use the app wherever they are, whenever they want and on any tablet without loss of data. We’ll be offering free updates for the iOS and Android operating systems on a regular basis. Thus we’ll be addressing the extremely important issue of sustainability. And I’d like to end by outlining a key sales argument: I’ve saved it until last because I’ll finally succeed in convincing sceptics (if there are any left!) of the value of our digital alternative: Alongside the usual complete collections (such as Bach’s Well-Tempered Piano, 1), with the “Henle Library” app you can now also buy each piece individually (so just one single Prelude). And what’s more: You can just buy (if you want to) one single part (maybe you only want the 2nd violin part of a string quartet) and no longer have to buy all of the parts, as you do with a print edition. I don’t think I have to underline the incredible savings. Pair it with a foot pedal and a stylus and for the first time ever print music is getting serious competition. Available as of 3 February 2016 for the iPad in the App Store, and from May 2016 in Android stores. You can find out more about the “Henle Library” app on our specially designed website www.henle-library.com. If you register there, you can have a free trial of the app. 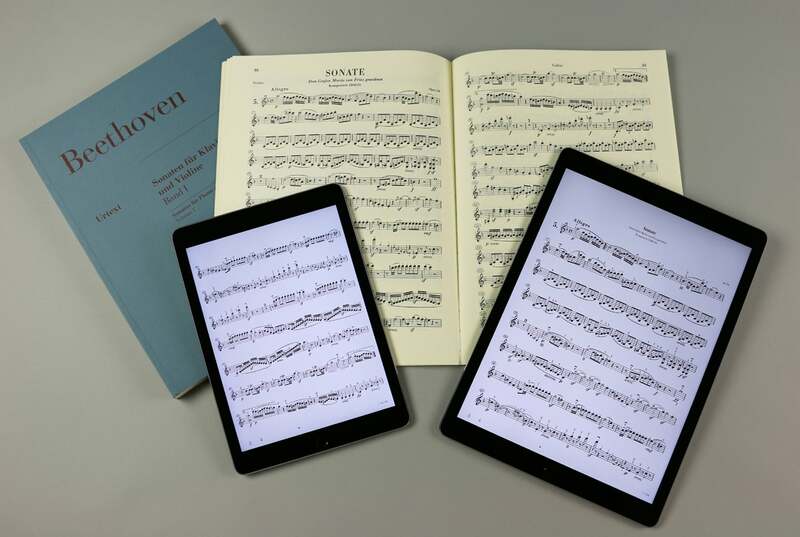 We are confident that we are redefining the world of sheet music with our “Henle Library” app. And we look forward to hearing your feedback and suggestions for improvement!